Eager bidders clear the house of items for auction. For several years in the early 2000s the business was located in the Ruderman’s building. 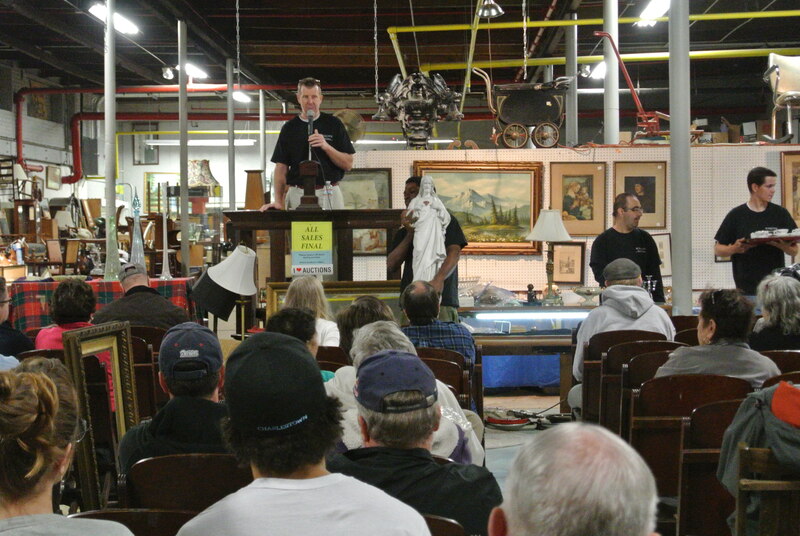 Michael Young stands at the podium in the moments before the bidding begins at the Antique Co-op and Auction House on Eastern Avenue on May 23. After years of vacancy the Ruderman’s building at 42 Ferry St. has indeed been torn down. The last business to lease the space left in 2011. For years the building has stood with locked doors and newspaper lined windows, its fate uncertain. 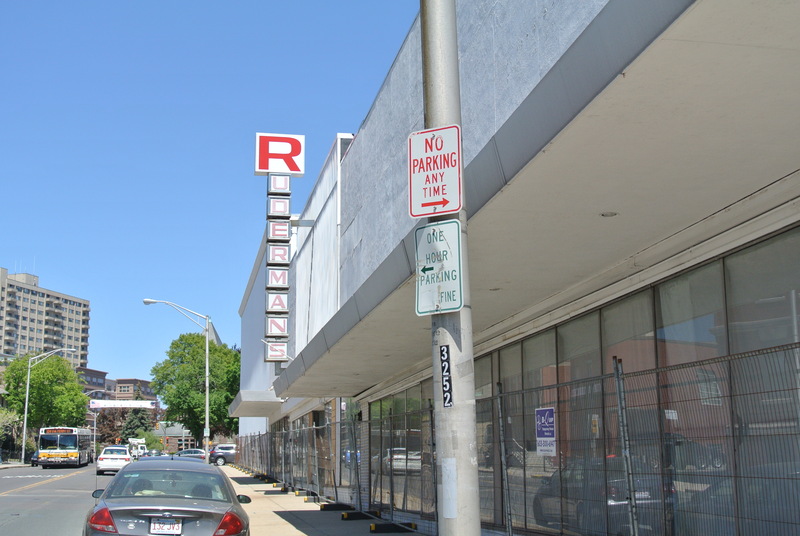 A CVS will be constructed where the old Ruderman’s once stood. CVS currently operates in three distinct locations in Malden: Pleasant Street, Eastern Avenue and Broadway. Neither an exact date for start of construction nor a projected open date for the location have been publicly announced. There has been neither confirmation nor denial of speculation that this CVS may serve as a replacement for the CVS on Pleasant Street. A media representative for CVS did not verify dates or return comment for this article. The large, modern Ruderman’s storefront was erected in 1958. 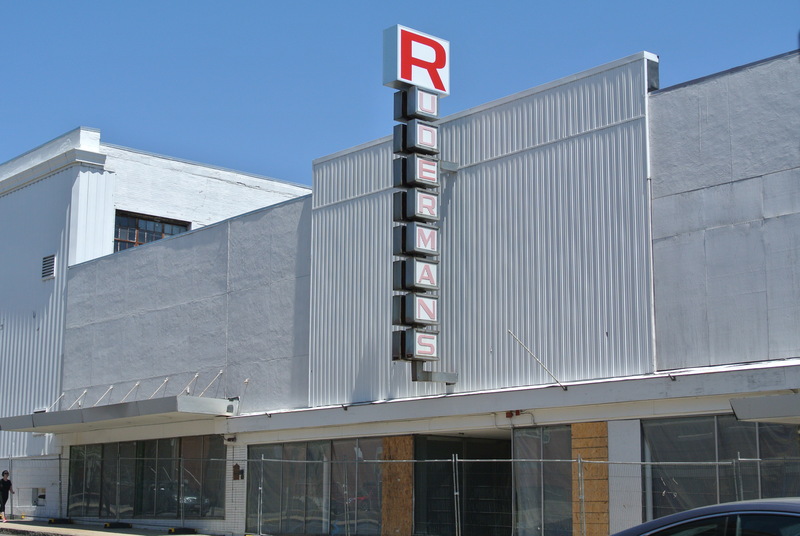 The sign stayed in place thereafter, despite the closure of Ruderman’s and new business operations within the building. Local residents have hoped for a return to business of some kind at the location for years. In the decades since the closure of the renowned furniture store, a flea market and the Antique Co-op and Auction House have operated in the space. Attempts to revive one or both of those businesses within the space after 2011 met with local support, but were ultimately unsuccessful. 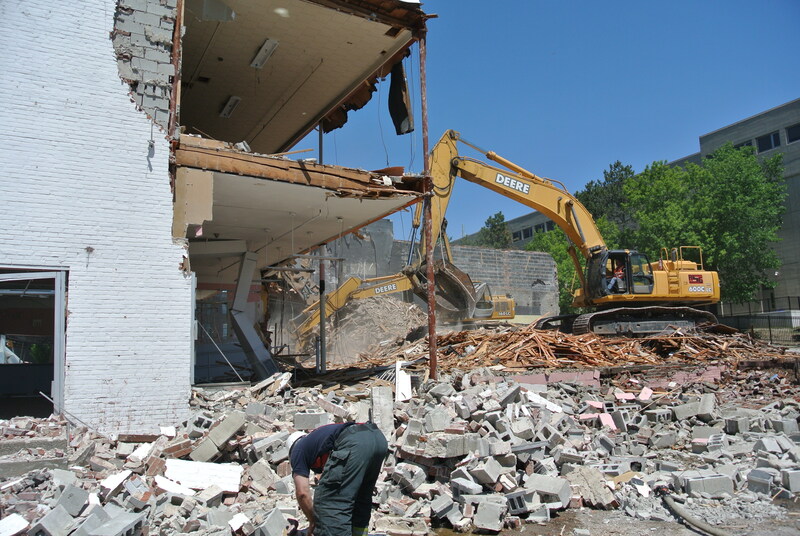 An excavator topples walls and gathers rubble toward the end of demolition of the Ruderman’s Building. Joseph B. Ruderman opened his furniture store in 1913 near the present-day intersection of Ferry and Irving streets, an area known at the time as the Shute Block. The success of his new and used furniture business led to growth for Ruderman, who in 1924 moved his business to a larger location at 42 Ferry Street, next to what was then the Malden Post office. 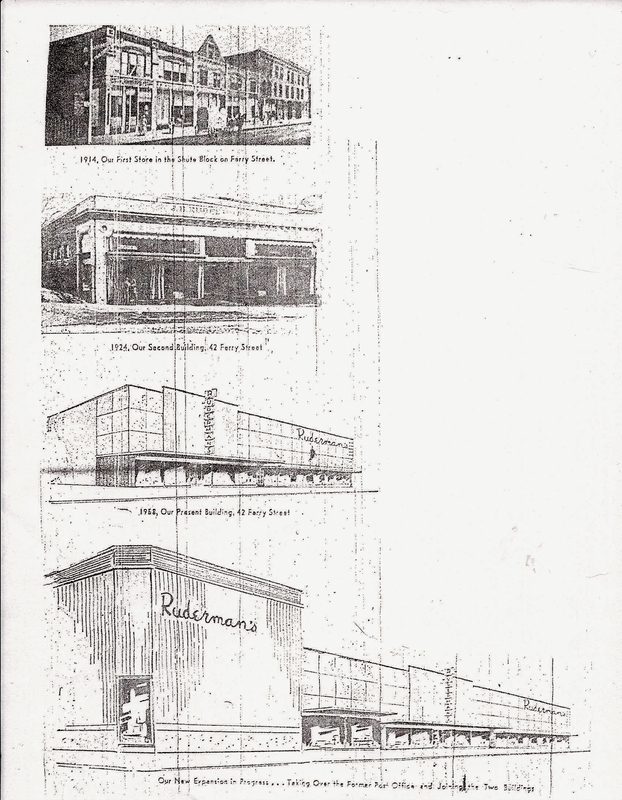 Ruderman’s sons succeeded their father in the day-to-day operations of the furniture store, which continued to grow and even expanded during the Great Depression to include locations in Medford and Melrose. The year 1958 brought a store expansion and the implementation of a modern façade. In 1967, the acquisition of the adjacent post office building gave Malden the visage of Ruderman’s the city’s residents have come to associate with the block. Malden residents have fond memories of the store. “When I got married, all the furniture for our house came from Ruderman’s,” says John Preziosa, former worker for the City of Malden and current director of Malden’s drum corps. In the 1960s Ruderman’s presented seniors at Malden High School with graduation gifts. 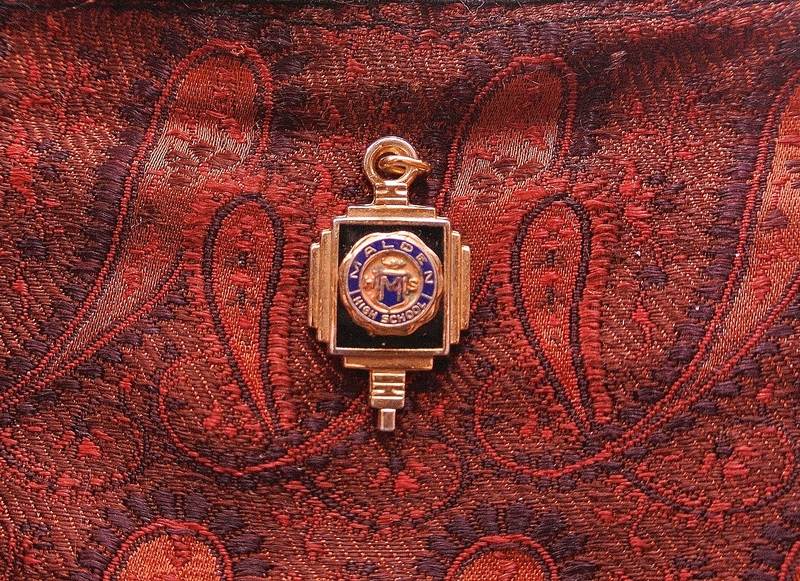 In 1964, the business gave graduating female seniors a small cedar hope chest, and a charm, pictured. Charm donated for this article by Connie Doherty. Connie Doherty of the Antiques Co-op and Auction House says: “There was Ruderman’s and there was Kotzen’s. Connie was still in possession of the charm when she was interviewed and donated it for this article. The long view of the block-long Ruderman’s building, looking up Ferry Street from Centre Street. the stores closed. By 1990, Ruderman’s furniture stores were no longer listed in business directories. For the first time since its construction in the early 20th century, there was no trade in the building at 42 Ferry St. The Ruderman family still had ownership of the property. By 1991 a new operation was in the location. Stan Krigman, Ben Ruderman’s son-in-law, opened a flea market in the space. Residents from Malden and neighboring towns manned booths in the former furniture building every weekend and several weekday afternoons every week throughout the tenure of the flea market’s operation. 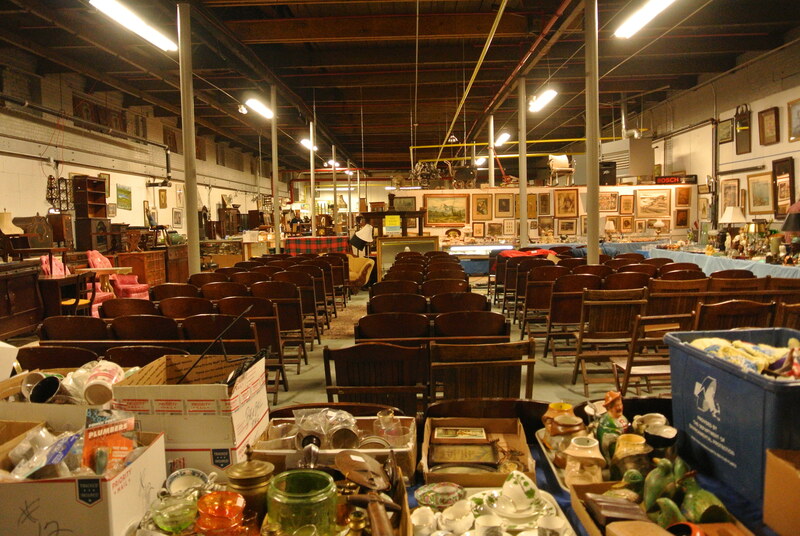 Rows of seats await bidders in the minutes before the Auction House opens at 9 a.m. The market stayed in operation under Krigman until about 1999, when Combined Properties purchased the building. An increase in rent and a discordant relationship between the leases and Combined Properties led to Krigman’s decision to leave the business. The Antiques Co-op and Auction House, two separate businesses that have long operated in conjunction under the same roof, took over the space around that time. With a reputation for low prices and volume deals, the business did well enough to survive the economic collapse of the early years of the 2000s. However, in 2011, the Antiques Co-op and Auction House succumbed to the rising rent and operating costs and moved to its current location at 75 Eastern Ave.
Bi-weekly auctions still take place at this location and vendors in the co-op display their wares for sale every week during operating hours (and sometimes before and sometimes after), Thursday through Sunday, 10 a.m. to 5 p.m. For this business at least, commerce marched on. For the past four years, the block long flagship building of Ruderman’s local empire has stood silent, paper in the windows to block the sun. A large L-beam glides through the air high above the mostly toppled construction site at 42 Ferry Street, balanced atop the bucket of an orange excavator on June 6. The heavy grey of the steel of the beam contrasts with the blue of the early June sky. The beam wavers slightly as the operator of the excavator secures it behind a segment of wall on the last standing corner of the Ruderman’s building. 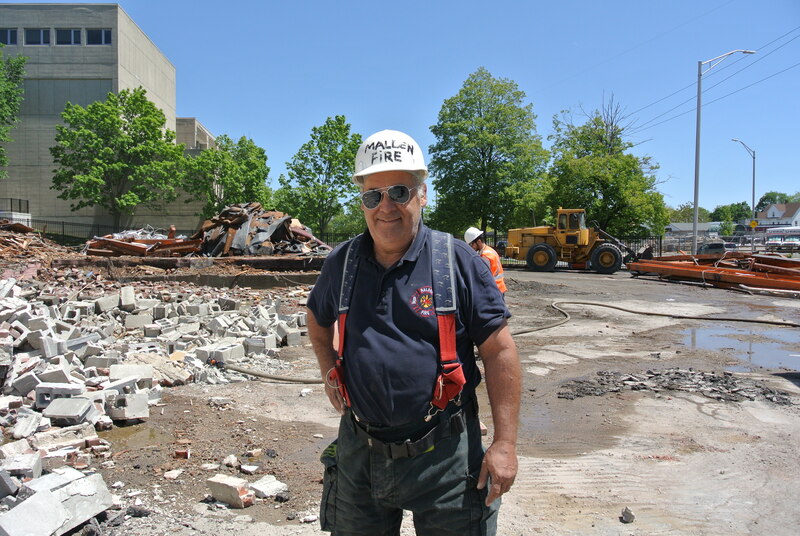 William Graffen of the Malden Fire Department maintains safe dust levels on the first day of demolition of the Ruderman’s Building. From the cab of the excavator, the operator pulls a valve. Cylinders shift and the beam pulls the wall toward the property. Bricks, cement and metal clammer down on a pile of gathered rubble in a place that 100 years ago was the Malden post office. Dust and small particles rise with the crash and blow out onto Ferry Street. It is the third week of demolition. The on-duty police officer informs me that in two days’ time, June 8 2015, the demolition of the years-vacant Ruderman’s building will be complete. Fences, erected and expanded throughout demolition, now guard scattered nails and gathered piles of bricks and steel. Soon CVS, the second largest retail pharmacy in the nation, will begin construction on the site. It will compete directly with the newly expanded Walgreens on Centre Street. Walgreens is the largest retail pharmacy in the nation. Years back, Greg Lucey spoke to me of how the city was trying to acquire the building for a computer science center for the Malden High School. Now, that would have been a “charming” continuum of a Ruderman legacy! Once we lose our historical buildings and green space, it is gone forever. Great work! Very interesting and enjoyable article in many aspects. Good journalism here. A typical post-industrial American fate but the story’s told well with no B.S.